makes a difference on the job! Lewis Contracting Services, LLC, proudly holds a State of Georgia Contractors Utility license. We are involved in Commercial General Contracting and also perform as a Site Development Contractor covering all work up to within 5ft of buildings. 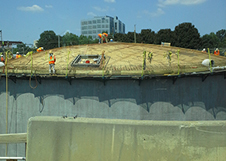 Our services include Utilities, Grading, Site Retaining Wall (modular and concrete) and demolition. 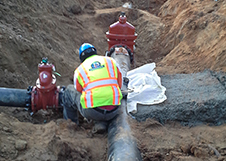 Our clients include government, state and local municipalities including the City of Atlanta and DeKalb County Watershed Management. We work with general contractors including HJ Russell & Company, Holder Construction, C.D. Moody Construction Co., McCarthy Building Companies, Inc., Hodges & Hicks General Contractors, LLC and others. We currently have joint venture partnerships with Archer Western Construction which often brings requirement of our design build construction expertise. Our senior management collectively brings more than 50 years of construction expertise and industry experience. Pre-construction services are vital to the success of every project. Our estimators and operations personnel are committed to providing pre-construction experience that meet or exceed our client’s needs. Lewis Contracting Services, LLC is one of the most trusted site preparation and underground utilities construction contractors in the southeast. Our preparation involves demolition, grubbing and clearing of the building site to prepare the land for construction. 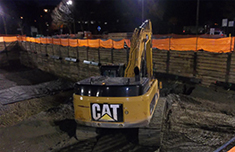 Our site development engineering experts provide civil site work design, land development design plans for both private and public sector projects. 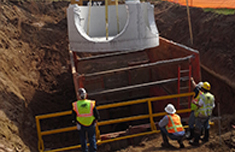 With our in-house network of environmental, site/civil, transportation design and construction engineering experts, we can provide the capabilities you need at every stage of the development process to keep your project moving forward for a successful, on-time completion. 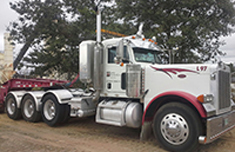 Lewis Contracting Services, provides a full range of hauling services to prepare commercial development sites for construction. Questions or comments? Complete the form and send us a message.